"The green string lettuce hail" which opens in a mouth the flavor of the "soy sauce hail" green string lettuce of the "black soy bean hail" deep body which can enjoy a feeling of appetite of the "lobster hail" black soy bean which finished "shrimp cracker" lobster hail of the flavor of the sweet "black honey baked" beach with soy sauce slightly "plum vinegared rice rolled in dried laver" of the acidity of the plum. 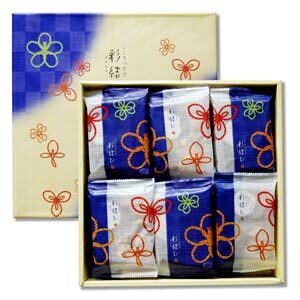 We subdivided it into the small sack which I ate seven kinds of small hail which were most suitable for tidbits and was easy to divide into tea cake. Please without the face of the visitor.